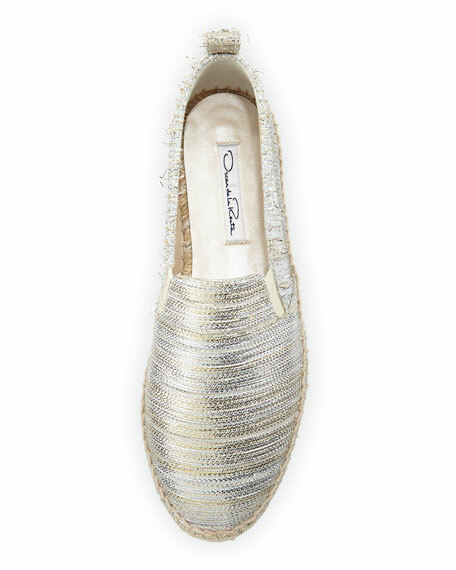 Oscar de la Renta metallic fabric espadrille flat. 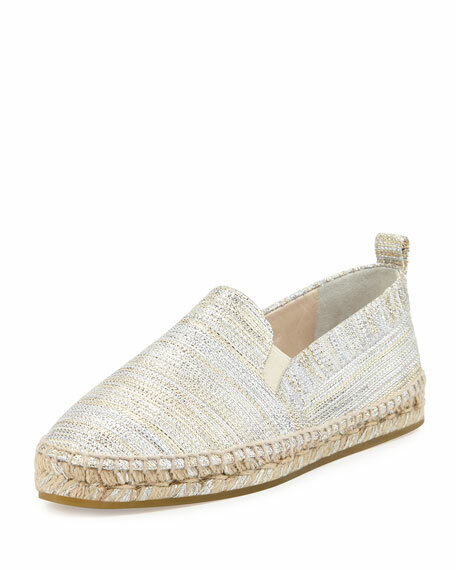 Stretch insets ease slip-on style. Rubber sole for traction, 0.8"H.
Please note: shoe is running a size large, we suggest ordering a size down. 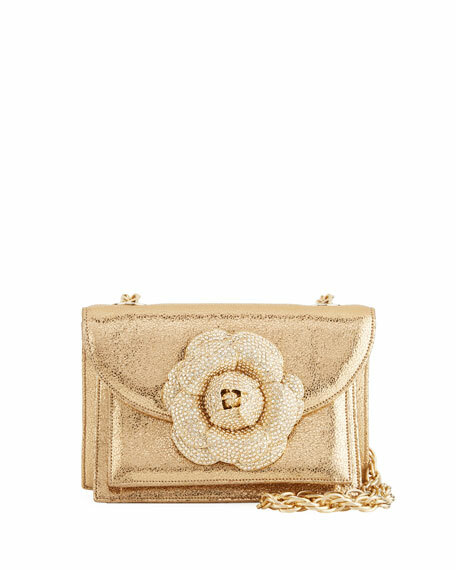 Oscar de la Renta crossbody bag in crackled metallic leather. 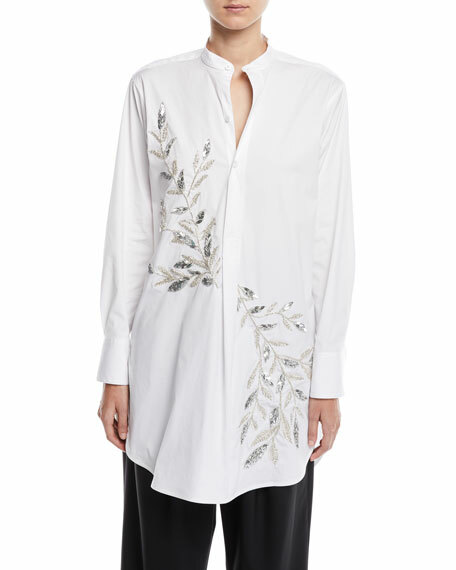 Flap top with crystalline gardenia blossom ornament. 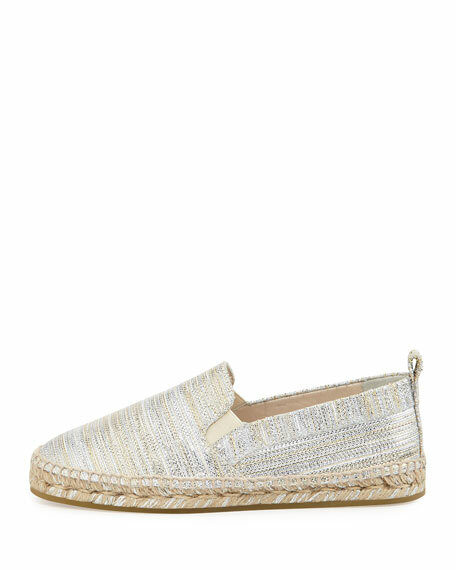 Suede lining; two interior compartments. 5.8"H x 7.8"W x 3.3"D. Crossbody chain. Made in Italy.